May, Hope and I will never go boating together in our favorite lake ever again. But I won’t let that stop me, even though I remember our last day so very vividly. “I won’t!” I grinned, but my unbalanced wobbling back and forth didn’t convince her. “You’re going to tip the canoe!” A worried May began to muse, her hands clenching the sides of Hope’s canoe so tightly they were white. My bare feet felt the wet wood of the bench I stood atop, and my arms flailed out and about in a desperate attempt to keep me from falling over. “Woah!” I caught my breath, every muscle in my body tensing tighter as I unstably leaned just a little too far to the left. No sooner had those words left my mouth did I lose my balance again. This time, I toppled into the water, bringing the canoe and my two best friends over with me. Our splash caused the nearby ducks to swim away from us in a hurry, and they were not too happy about leaving their peaceful meal of bread we had thrown to them. Hurriedly, I swam up to the surface, my hands slicing through the peaceful lake water. After looking around I was relieved to see Hope and May’s faces pop up from the murky darkness soon after mine. “Cassie!” May scolded, but as always, she was the first to burst out laughing in her sweet, gentle way. Hope and I soon followed her example, and soon we were swallowing the gross lake water in our guffaws and kept coughing it up. “C’mon, let’s get back in the canoe,” Hope finished her half-choking, half-laughing bout. Paddling over to the canoe and pushing it up and over successfully set it upright, and May and I began to swim toward the boat as well. Hope climbed in with ease and helped May and I in. “No more standing!” May ordered with a smile, and I gave her a mischievous grin. “But, Cassie, you say that every year,” Hope reminded. Usually, I would think words like that were cheesy. But they were ever so real to me that day on the lake, and little did I know they were some of the last words May and Hope would ever speak. I nodded, trying to blink back the tears welling in my eyes when I thought of leaving my best friends. I glanced down at my wrist to see my bracelet. But the bracelet was gone! My heart stopped and I caught my breath. Where on earth was it? “It’s gone, guys,” I snapped quickly, breaking away from their hands on my shoulders and dropping to the floor of the canoe in pursuit of silver chain with the scissor charm on it. “What? The bracelet?” Hope demanded in alarm, raising her paper-charmed friendship bracelet to eye level and making sure she had hers. Soon both of my friends were on their hands and knees in the tiny canoe, scouring for the bracelet. After less than a minute of careful search over the small bottom of the boat, I sat back heavily on my bench. At this, I turned my head to look out about the still, shining waters of the lake on Hope’s property. I knew I had my bracelet before we fell in – I admired how much the silver scissor charm had glistened in the blazing afternoon summer sunlight as I carefully stepped into the canoe. But how was I going to find it in the watery depths of the lake? “Oh, no,” May whispered, and Hope immediately leaned over the side of the boat. “It doesn’t float, does it?” She wondered. “Where did you fall out?” Hope asked. If I was already devastated about moving, losing my friendship bracelet just made it a thousand times worse. Right after May said all that about when I missed her and Hope I would look at it and think of them! But I couldn’t do that anymore. It was gone. “Wow, it’s raining hard,” I mentioned aloud, staring out the backseat window. Hope was driving May and I to our homes after our last afternoon together. Tomorrow was moving day, and I dreaded it. “Do you know where we are?” May asked, concerned. That’s when thing spun out of control – literally. In a flash Hope lost all control in steering the car. Before any of us knew what was happening, we were spinning more rapidly than any roller coaster ride I had ever been on. Things were happening too fast for any of us to scream or cry, and we only stopped when Hope’s car smashed into another. Smashing Hope and May’s lives with it. The words of the pastor doing the funeral replayed themselves over and over in my mind. One fact bothered yet delighted me about it; I was supposed to be listed among those names. I was supposed to die in that crash, but I made it out alive. 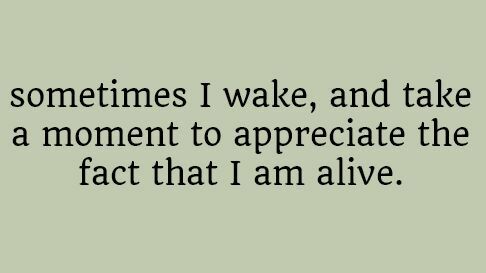 Staring up at the ceiling of my new house, laying in the bed of my new room, and letting my thoughts roam free this Saturday morning, I couldn’t help but think of my best friends and simply appreciate the fact that I was still alive. I pulled my wrist out from beneath my blanket and looked at my silver, scissor-charmed bracelet. My eyes trailed the silver charm, not wanting to do much else but lament over the loss of my two best friends in the entire world. It had completely broken my heart. I blinked, and a tear slipped down my face, causing a small wet spot on my pillow. There was a way to bounce back from this, I knew. I know it was not God’s will for May and Hope to die, I told myself, turning my wrist over to glance at the bracelet from another angle. But I’m not going to let their death be in vain. Was I going to make my life count for something or not? Every day is a gift, I realized. And I’m not going to waste a moment of it. Because I’ve made a decision to make my life count for something greater than myself. Grace, I included all three prompts, and three of the extra-point prompts: Something accomplished/found/won, something lost, and heartbreak. I also included my team’s writing utensil – a quill. I was reading through the list of things to add for extra points, and I went, “True love? Nah… No Way.” ? 😛 LOL! ? I hope what I wrote will benefit Team Quill. We’ve got this, Quillians! ? I made a little goal of each entry being better than the one before, and in my opinion, some of the entries were better than previous ones, while some were just… meh. 😛 This one was fun to write. I’m not sure what my favorite one to write was, though… I had such a great time writing all of them! LOL! Grace, I’ve probably said this about a million times, but thank you so much for hosting this writing camp! ? It’s been super fun to participate, and thanks for letting me in at the last minute! I’ve had a blast thinking up creative ways to weave in the prompts and write a well-written story within the time frame. And it’s been amazing to read all the other entries written by my fellow teammates and all those on Teams Pen and Pencil, too! I appreciate the time you spent reading all the entries, tallying up all the points, and gathering amazing prompts to make this entire writing camp a huge success! I for one have really enjoyed TIWC. So, thank you, Grace! *GASP* This was AMAZING! :O The writing was SO SO GOOD!!!!! I LOVED IT VERY MUCH! You are an AMAZING WRITER!! PLEASE write more stories in the future if you have time- this was VERY VERY VERY VERY VERY VERY VERY GOOD!!!!!! Thank you SO much, Olive! Yeah, it was sad. 😛 And me too! 😛 ? Thank you SO much, Grace! I’m so glad you like it! ?And aw, thank you so much! ??? And yes, it sure has! ? Thanks SO much, Quinley!! ? I love that part “OH NO, SHES UP” it’s a very inspiring story and it is sad but I like sad storys like this.? And some day she will see her friends again, ? I would keep that bracelet forever. Also I love how you say “copyright by the 8th camandment, thou shalt not steal.? That’s awsome. Sorry for any typos.